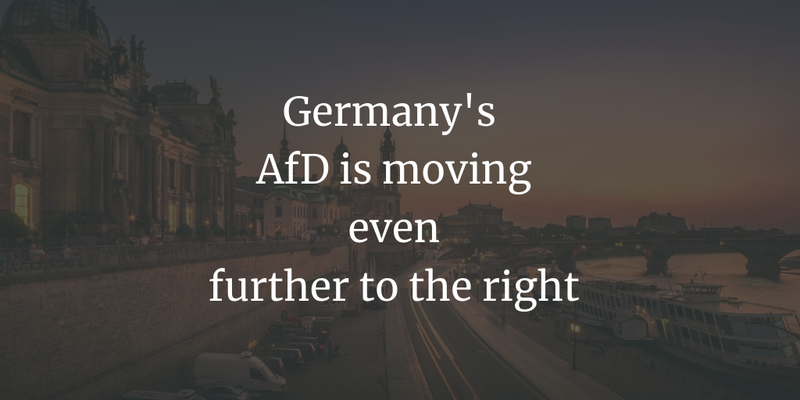 After Frauke Petry, herself not exactly a centrist by conventional standards, has left the party, the rightmost factions in the AfD are becoming even more influential (or perhaps just more visible). The party will elect a new leadership this coming weekend, and Andre Poggenburg will stand as a candidate for deputy party leader. Poggenburg, who leads the Saxony-Anhalt chapter of the party, is a friend and political ally of Björn Höcke, the most prominent representative of the ultra-right within the AfD. 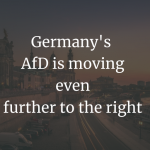 In the past, under both Lucke and Petry, the national executive has made several unsuccessful attempts to kick Höcke out of the party over his various racist and anti-semitic statements. Speaking of anti-semitism, documents have surfaced a couple of days ago that incriminate Peter Felsen, deputy head of the AfD’s parliamentary group in the Bundestag. Felser and his company were involved in the production of campaign videos for the “Republikaner” party back when they still mattered. Broadcasters refused to air these videos (German parties get an allocation of free airtime) because of their inciting content, and the courts confirmed that their content “minimised, denied, and justified” the Holocaust. Felsen does not deny the allegations but says that he regrets the whole thing. Meanwhile in Saxony, Petry’s erstwhile home state, the regional leadership has stopped a similar bid to throw out Jens Maier, over similarly controversial remarks. Maier, who is a judge, has publicly spoken out against what he calls “the cult of guilt” (right-wing extremist parlance for publicly remembering the Holocaust) and the “creation of mixed races”. He is also on the record for claiming that Anders “Breivik became a mass murderer out of pure desparation”. Amongst us anoraks, Maier came national prominence when he granted the NPD an injunction against colleague Steffen Kailitz, who was banned for a while from repeating statements he had made when he gave testimony against the NPD in the Constitutional Court. Maier also likes to call himself “little Höcke”.